I had the chance to witness and be a part of a Mehendi Ceremony this past weekend! It was a blast! I can completely understand how it’s been such a long standing bridal tradition and for centuries. 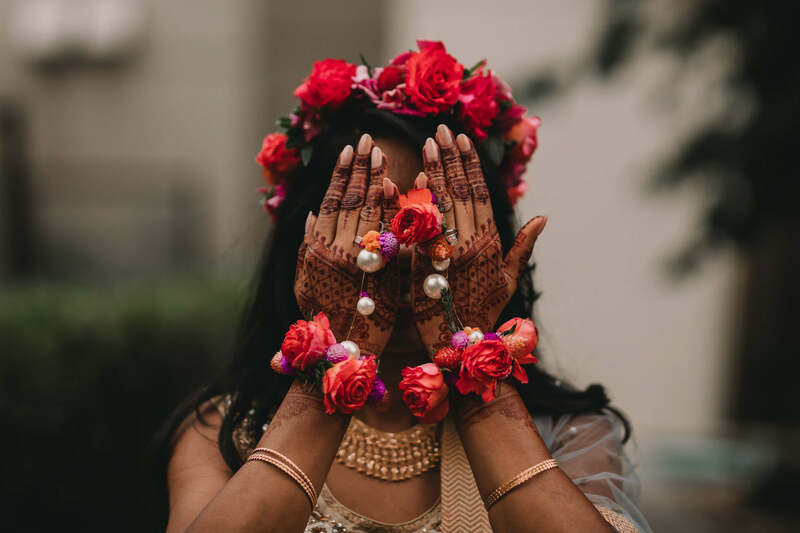 Rumor has it that the Indian wedding ritual dates back to the 12th century AD. That’s crazy! Here’s a little bit of history for those that are interested. 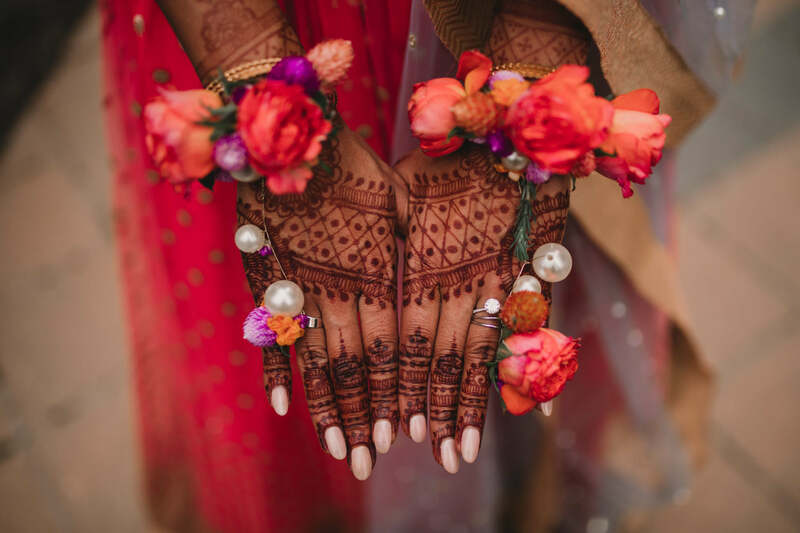 Mehendi ceremonies involve the intricate artistry of henna designs on the hands and feet of the wedding couple, representing a combination of beliefs and health benefits. It’s believed that the darker the henna stain, the more the bride will be loved by her husband and mother-in-law. The core beliefs of the Mehendi ceremony focus more on the health benefits of the henna itself. It is meant to heal, relax and protect the bride and groom. It’s also known to be a powerful aphrodisiac. I originally thought that the Mehendi ceremonies were strictly for aesthetics. I’ve learned something new! Each artist or beautician makes her own paste, mixing it with an essential oil or a combination of essential oils. I was lucky enough to have my hands done as well. The entire room smelt of eucalyptus. I wish my bridal shower had smelt of eucalyptus. Thank you so much for having me, the variety in art designs were absolutely stunning. Here are some sneak peaks of one of the most genuine brides I’ve ever met. Truly, she’s not just a genuine “bride, she’s one of the most genuine people I’ve had the pleasure of spending time with.